There are many reasons to choose a career. Aptitude ranks highly, as does interest — and of course, you need to get paid enough money to live on. For some, their career path is also guided by a sense of altruism. They are looking for a job where they can make a difference. The perfect job for these folks allows them to give back to their communities and the world. The good news is that there’s a wide spectrum of careers that fit that description. You can find jobs that save the world in industries as wide-ranging as healthcare, energy, law enforcement, and education. And speaking of education: don’t assume that every job that helps humanity will require you to spend years in school. While some of the occupations on our list do require advanced education, others are open to those with a bachelor’s degree. A few require only a high school diploma and some additional training. There’s something here for every altruistic soul. Find your career path and help others while you earn a living. 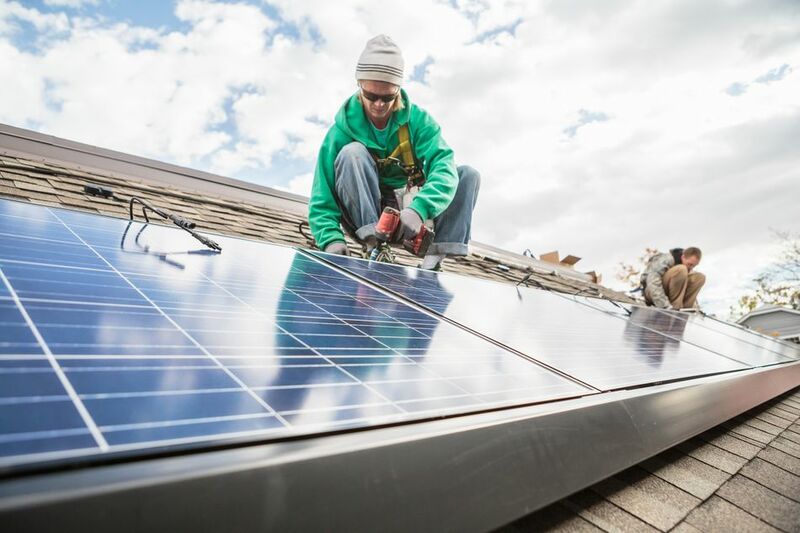 Over 250,000 American workers are employed by the solar energy industry, according to the Solar Energy Industries Association — more than twice as many as in 2012. No surprise, then, that the demand for solar photovoltaic installers is soaring. These workers install and maintain solar panels. A high school diploma or equivalent is often enough to get started, although many PV installers also take a course or do an apprenticeship. On-the-job training lasts as long as a year. People with this job help patients young and old improve the skills they need for everyday living. Patients might be children on the autism spectrum, mature adults recovering from physical illness or injury, and everyone in between. This job requires a master’s degree and professional licensure. Nutritionists and dietitians advise clients on healthy eating with a variety of goals, from supporting medical treatment to weight loss to managing illnesses like diabetes. Dietitians typically have a bachelor’s degree, and their pay may rise with specific skill sets, such as assisting clients undergoing treatment for specific medical issues. Nurses provide patient care in a variety of in-patient and out-patient settings, including hospitals, doctor’s offices, clinics, and patients’ homes. They also help coordinate care and educate patients and their families about health and disease management. Many hospitals now require bachelor’s degrees. All registered nurses must be licensed. Another option, which doesn't require a four-year degree, is a licensed practical nurse (LPN). LPNs typically work under the direction of RNs and doctors at nursing homes and doctor’s offices. Physicians and surgeons obviously make a real difference in patients’ lives and contribute to the health of the community at large. They also get paid well: depending on their specialty, they can earn well over $200,000 a year. On the other hand, they may need that money to tackle their student loans: doctors undergo nine years or more of postsecondary education and training. Urban planners are often independent contractors working with various public and private groups, including private property owners, cities, and corporations. They create plans for land use that take into account economic and environmental factors, as well as population growth. Typically, urban planners have a master’s degree. Environmental engineers help companies minimize the impact of development on the environment. They may help prevent air and water pollution, improve public health, and help form policy. People in this field typically have at least a bachelor’s degree. Project management experience is associated with higher pay, which can range close to six figures at the high end. If you want to have a positive effect on humankind, there’s no better place to start than at the beginning. Elementary school teachers shape young minds right at the start, teaching them how to learn as well as laying the foundation in basic subjects like math, reading, social studies, and science. Firefighters save lives and property, putting out fires and managing other emergencies. They also educate the public about fire prevention strategies. Typical entry-level education for this occupation is a postsecondary nondegree award, per the Bureau of Labor Statistics. Members of the police force work to keep communities safe by patrolling neighborhoods, responding to complaints, and arresting suspects, as well as participating in community outreach programs. Educational requirements vary; a high school diploma is required, but some areas prefer a bachelor’s degree. Looking for more options to help make a difference in the world? These green jobs pay well, and you can help the environment while earning a salary. There's a job for every skill set, industry, and education level on this list of green dream jobs.